Nippon Paint Asia. 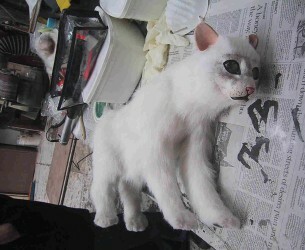 Build an animatronic cat to interact with the parrot. 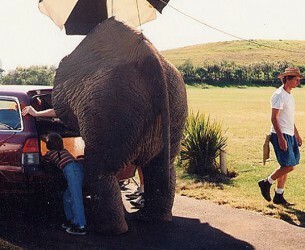 Mitsubishi Magna TVC elephant. Full sized elephant back half and head. 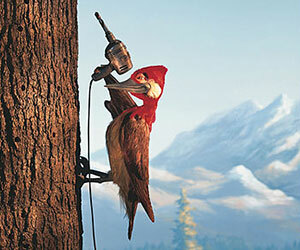 Brief, build puppets for Sydney Royal Easter Show TVC’s. 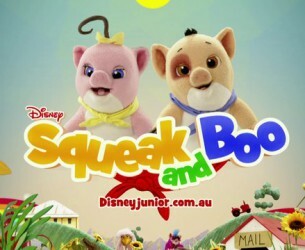 Hand puppets for Disney children’s television series “squeak and boo”. 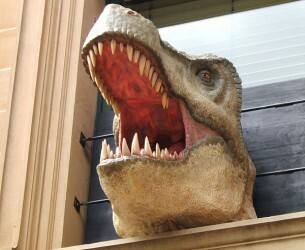 Full sized Tyrannosaurus Rex head for the Australian Museum. 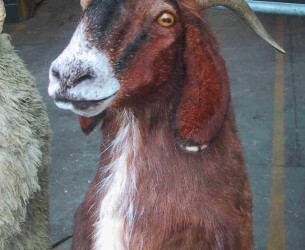 The head was sculpted over a fossilized skull supplied by the museum. Kit Kat print Ads. Model build duck and plane wing. Also bear, toilet block and small scale set. 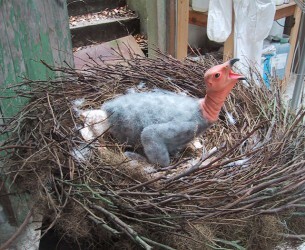 Brief , build model condor baby for print Ad. 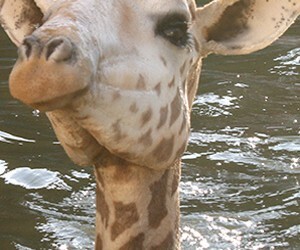 Biref, build realistic giraffe head to be submerged into water for TVC. Man V’s Wild dead Camel. 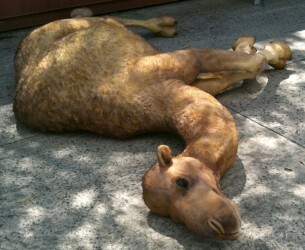 Produce a full sized dead camel for TV Series.